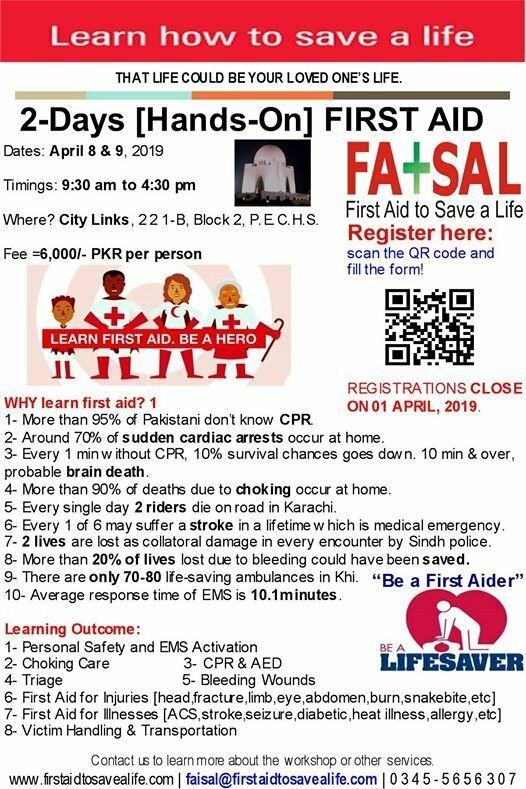 First Aid to Save a Life is pleased to announce 2-days “CPR, AED & First Aid” hands-on training in Karachi on April 8-9, 2019. The course fee is =6,000/- PKR per person inclusive of course book, certification, quick wallet card, refreshment/s & lunch. This training program is designed specifically for the occupational first aid provider and fulfills industry requirements. 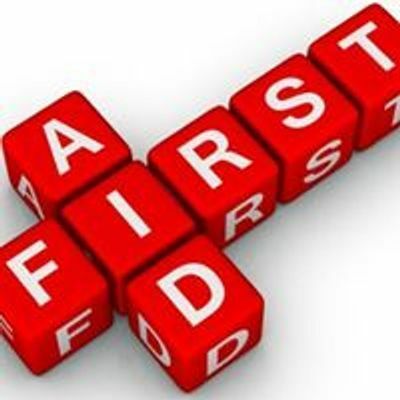 The course is based on the current guidelines for CPR and First Aid. Manage sudden illnesses, stroke, seizure, bites, etc. 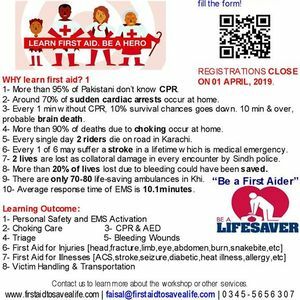 This course will help students to gain the knowledge skills, and confidence necessary to manage a medical emergency using CPR and first aid until more advanced help is available. Kindly remember that we have limited seats available so don’t wait for last day and finalize your registration as early as possible to confirm your participation.